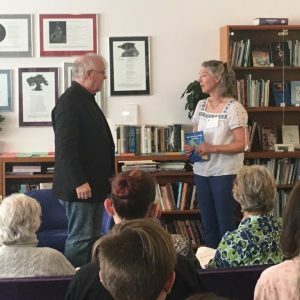 On Friday October 20th, the Connecticut River chapter of River of Words honored one of its co-founders, the poet Robert Hass, who was the featured poet on the occasion of the twentieth anniversary of the Poetry Center at Smith College. In 1995, ROW was co-founded by writer and activist Pamela Michael and then-US Poet Laureate Robert Hass. 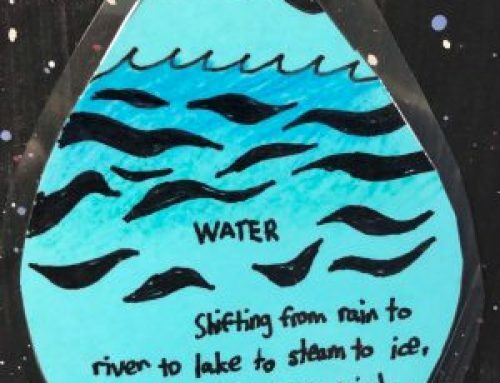 River of Words encourages young people to explore and savor the watersheds where they live and trains educators to guide them with inspiration and passion (see River of Words website). Carol Berner, co-coordinator with Margaret Babbott, publicly thanked Mr. Hass for his vision and shared a few examples about how River of Words benefits our students, teachers, communities and greater ecosystem. 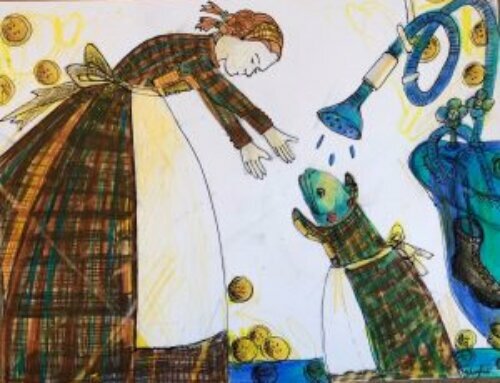 She presented him with an inscribed copy of The Fish in the Polka Dot Dress, written by Nancy Meagher and illustrated by Gill Elementary and Montague Elementary School art students. 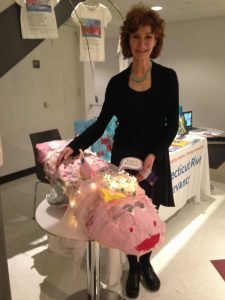 In addition, our ROW chapter had a display table at the packed evening reading where people could leaf through our books, admire Connie Rivers (the paper mache fish), and engage in conversation about environmental arts and education. 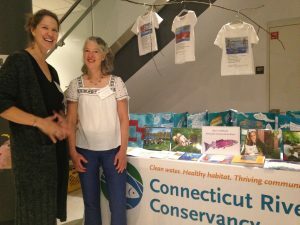 Special guests at the River of Words display included Andy Fisk, Executive Director of the Connecticut River Conservancy, and Nancy Meagher, Art Teacher whose students created Connie Rivers and The Fish in the Polka Dot Dress. 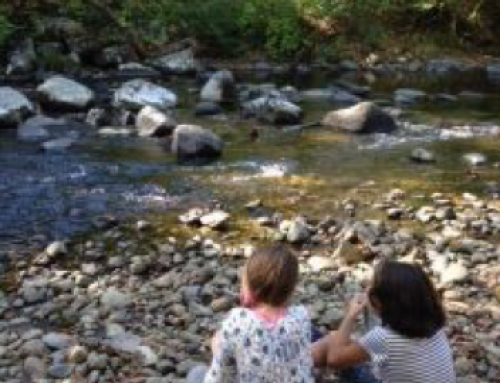 Curious to find out more about our programs for youth and educators in the Connecticut River Valley? 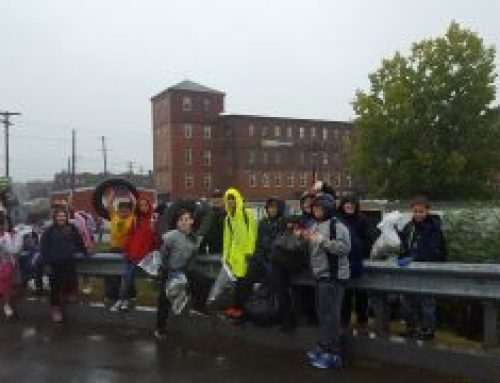 Visit our website at row.ctriver.org.